Dogs used to be regarded as, well, just dogs. Care was very basic and the attitude was it wasn't worth spending much money caring for a dog when you could easily get another one. Dogs roamed the streets and there weren't many laws regarding them. Well, times have changed. 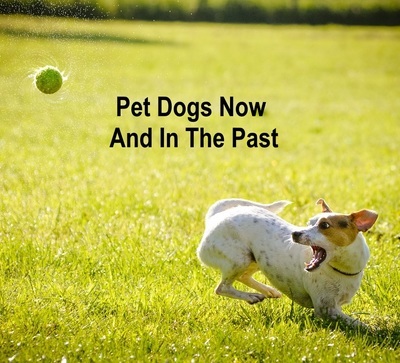 In what ways have attitudes to pet dogs changed over the past 60 or so years? The family dog often slept outside, perhaps in a tea chest or an old oil drum with a worn out blanket or a couple of hessian sacks for 'comfort'. Some did sleep inside on a mat somewhere. My dog was allowed to sleep on my bed when I was a child but many weren't. A dog was fed scraps and leftovers, perhaps offal from the butcher. Scraps could include leftover stew containing onion. Dogs were sometimes fed grapes, perhaps chocolate from a generous child, chips and other salty food without any thought of whether these were safe foods for a dog to consume. When tinned and dry dog food became available there were no special types for puppies, seniors or dogs with particular dietary needs. It is a very different story these days with a wide variety of dry, tinned and rolls of food available catering for all sorts of dogs. There were no bags of special doggy treats back then. Dogs were fed from an old enamel plate or similar. There were no special bowls, automatic feeders or water feeders. And no dog had a placemat. Bones were thrown to the dog, any type of bones, the bone from the lamb roast, chop bones from the barbie, chicken bones, cooked or raw. No one realised the risks of a bone splintering or getting stuck in a dog's throat. The family dog was rarely taken to the vet. Many dogs never had a vaccination. There were no regular check ups or preventative treatments against fleas, heartworm, worms etc. Many dogs did not reach the senior years so there was no special treatment of dogs in this category. Male dogs were rarely desexed. It was considered unnecessary because they couldn't get pregnant. Sixty years ago no one would have believed it would become law that all dogs to be desexed unless exempt as a breeding dog or for other strict reasons. This is a recent invention and some facilities charge high fees to care for Fido while his owners are at work. 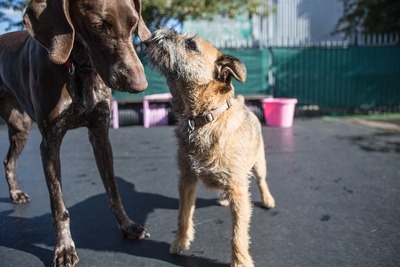 Not only is a dog provided with food and water but the opportunity to socialise with other dogs and have access to interactive toys, mental stimulation and enrichment activities. These terms were never used in relation to the needs of a dog in the past. 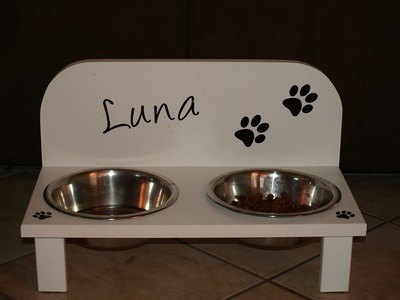 Some people earn money by caring for dogs either in the dog's own home or at the service provider's house. If the service is for an extended time while the owners are on holiday, photos and videos of the dog may be offered as part of the package. Back when I was a kid a dog got a bath if it rolled in something offensive and smelled bad. Now and then someone might give a dog a quick brush with an old hairbrush. It's a different story now with mobile grooming and shops that offer pampering for your dog. And once your doggie is looking oh so beautiful you can arrange for a professional pet photographer to take some shots. When I was young I never saw a dog wearing a coat or other form of clothing. Perhaps some little girls did put a hat on their dog if it was a patient animal but I never saw this. These days there are all sorts of clothes available to make a dog more comfortable in cold or wet weather. Some owners dress up their dogs for Halloween, Christmas, birthdays or any other time they feel like it and post images on social media. There are special costumes manufactured for dogs. 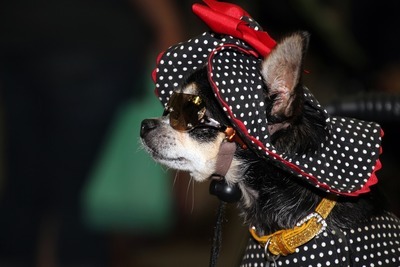 National Dress Up Your Pet Day was founded in 2009 in America by Colleen Paige, a Pet Lifestyle Expert. There was a time when you would only see a dog with its master at work if the animal was rounding up sheep or cattle. These days there are some offices and other workplaces which allow dogs. Decades ago, if a dog needed to be 'put down' this was sometimes done by someone with a gun and a steady aim. The body would be buried in the back yard. Perhaps someone would write the dog's name on a rock to mark the spot if the dog was a well loved family pet. There were no urns containing the ashes of a beloved pet or special memorial plaques. Attitudes have changed and the care available for dogs has increased. The positive value of dog ownership and the many ways a dog can enrich a person's life are recognised now. Some aspects of dog care have become big business. I wonder where this will go in the future.